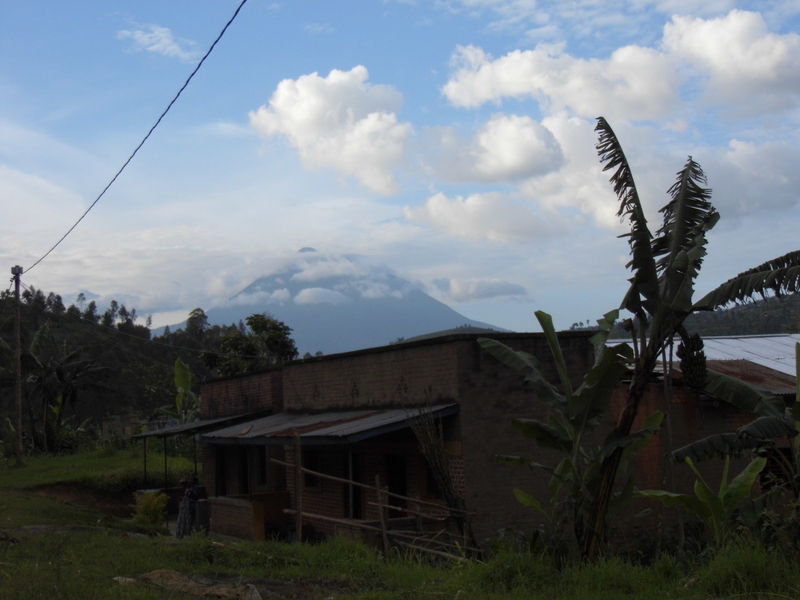 In the North of Rwanda, bordering Uganda and the Democratic Republic of Congo, lays the Virunga Volcanic Mountain Range. The Virunga Range is made up of three National Parks; Mgahinga Gorilla National Park in Uganda, Virunga National Park in Democratic Republic of Congo, and Volcanoes National Park in Rwanda. These parks are unique in that they are one of only two places in the world that the Mountain Gorilla can be found. The other is the Bwindi Impenetrable National Park in Uganda. The Mountain Gorillas have been attracting tourists to Rwanda for many years, and this has now been turned into a very successful means of conservation. After a dramatic decline in numbers since their discovery, gorilla numbers have now slowly increased, however they are still classed as an endangered species. 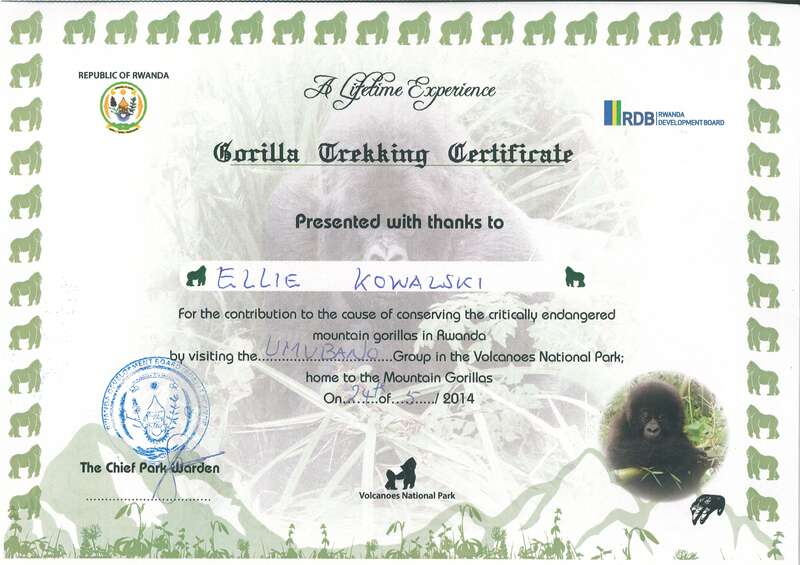 During my recent trip to Rwanda, I was very lucky to have the opportunity to take part in the world famous Gorilla Trekking. Our journey started from the town of Ruhengeri (Musanze), approximately 2 hours drive from Kigali in North-West Rwanda. We began the day with a very early briefing at the National Park headquarters in Kinigi. After meeting our guide, we were assigned our Gorilla Family. There are several families available for tourists to visit, and the maximum number of tourists is 8 per group. We were assigned the Umubano Group, led by the dominant silverback “Charles.” After the briefing with our guide, we set off in our 4×4 along the increasingly steep tracks formed of volcanic rocks, to begin the journey in the foothills of the volcanoes, and the starting point of our trek. 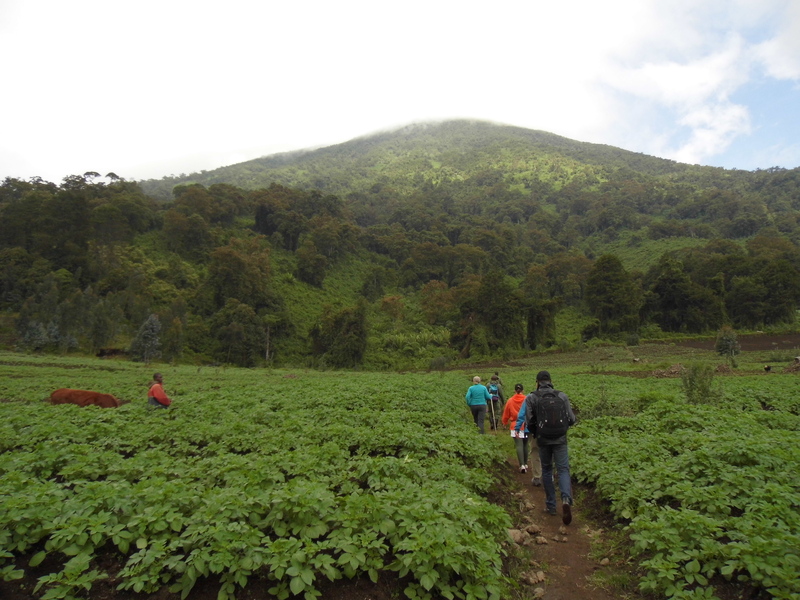 The walk begins with a gentle pathway through the fields of crops, thriving in the fertile volcanic soil, passing by the local farmers and excited children. We then reached the boundary of the National Park, marked by a stone wall. As we climbed over the wall, the landscape immediately changed to that of thick jungle, and we were joined by the trackers, who had been out in the jungle several hours before to locate our gorilla family. We climbed through the thick jungle, up and down steep slopes, and through the undergrowth. It didn’t take long before we heard the noises and rustling from the gorillas. 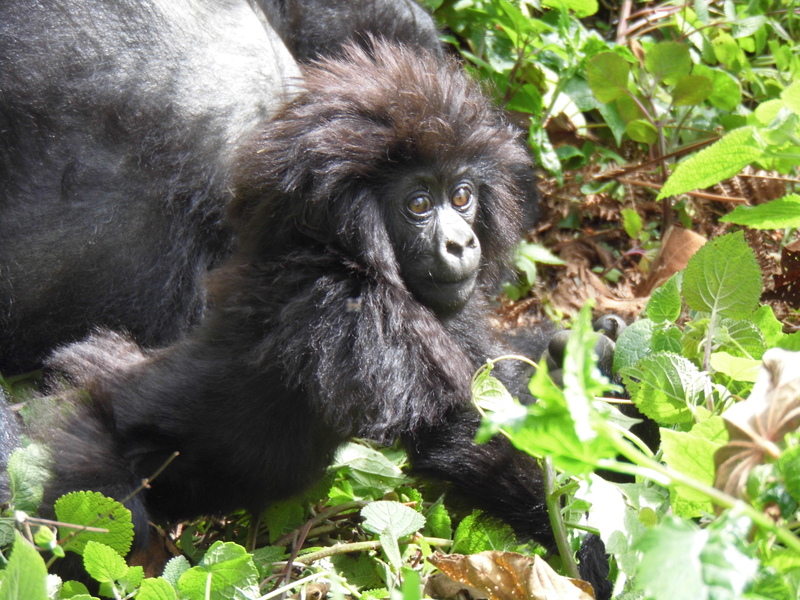 . .
Once we reached the family, we were able to spend an hour with the gorillas, watching as they lazed around having their afternoon rest, the younger members playing together, and a 6 month old baby clambering and playing with his mother. Some were lying quietly, others eating, and some climbing and swinging in the trees. 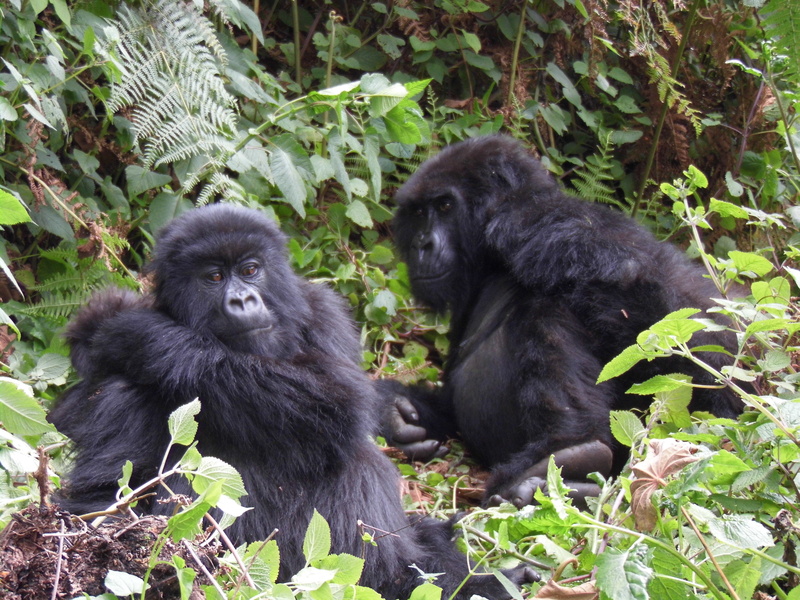 The gentle gorillas were unphased by our close proximity, carrying on as usual. An unforgettable experience in a beautiful part of the world! Situated on border of Kenya and Tanzania along the Indian Ocean coastline, Shimoni today is best known for being the main gateway to the beautiful Wasini Island and to the Kisite Marine National Park. However it is little known fact that in the past 10 years 70% of the local forest has been depleted and increasing tourism in the area is posing further stress on the locally available natural resources. To be able to reverse this trend and to conserve its unique coastal forest there has been major local and international efforts under way. 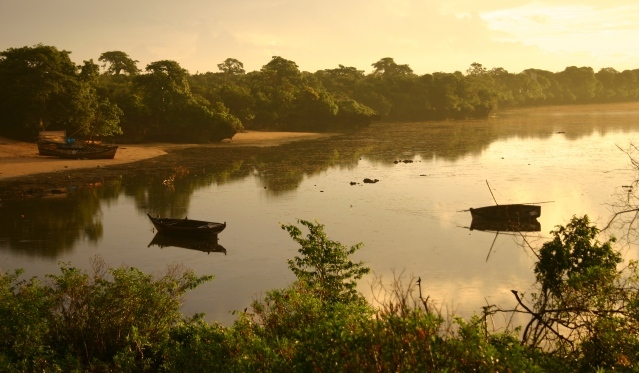 The Kenya Wildlife Service has been active in the area through its headquarter in the Kisite-Mpunguti National Park where in cooperation with Global Vision International (GVI) it has been focusing on both marine and terrestrial conservation. Also, a local community based organization, Friends of Shimoni Forest has been successfully working together with various travel agents to promote sustainable tourism and to raise awareness of the fragile ecosystem in Shimoni. We are proud to be able to contribute to these conservation efforts through our efficient cookstove project (Gold Standard 827 – Shimoni Improved Cook Stoves). Having been working in the area since 2009, CO2balance have distributed 826 improved cookstoves to date, this way reducing the reliance on the decreasing and precious wood resource locally.